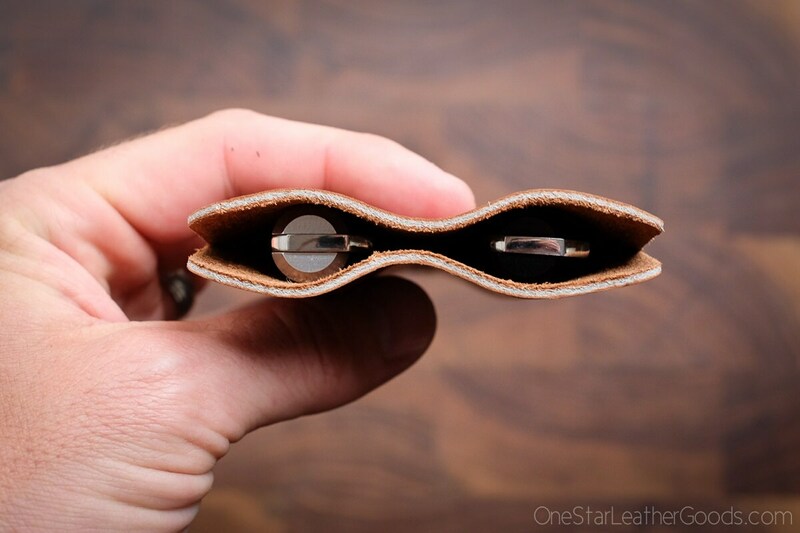 When you want to take two of your favorite pens, but you want them protected in your bag, purse or pocket. Great for fountain pens and quality writing instruments of all sorts. Measures 8.5cm x 15.5cm (3.5" x 6.25"). Will fit pens up to about 14.5cm long and about 1.5cm in barrel diameter. The pens shown are the INK and RenderK by Karas Kustoms. This pen sleeve is beautifully made and the shipping was speedy. Can't wait to purchase more items from you. Cheers! Very pleased with the quality of materials and workmanship. Highly recommended. 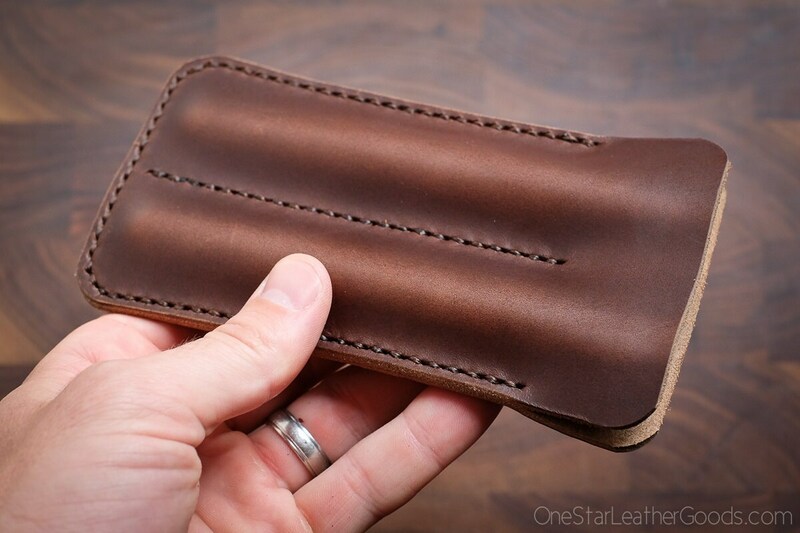 Just the latest in a long line of great purchases I've made from Keegan and One Star Leather. 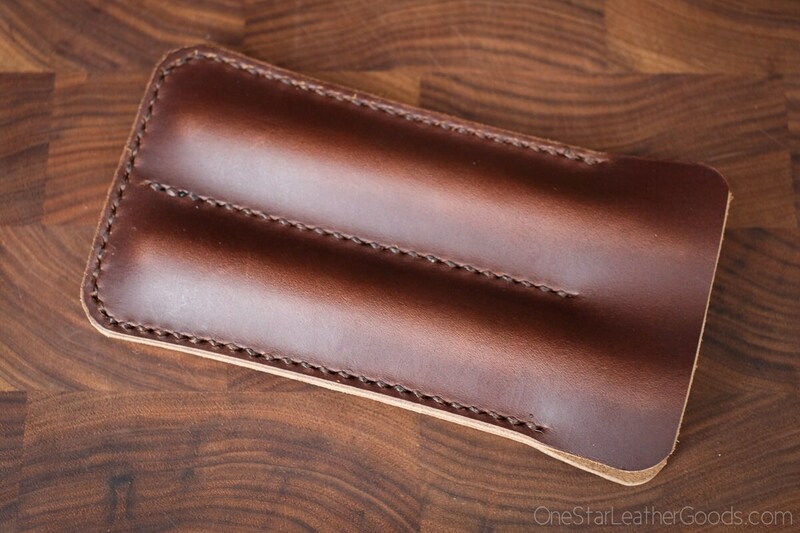 A simple and elegant pen case of rich Horween Chromexcel, masterfully designed, stitched, and finished by Keegan. At this point, I'd expect nothing less. HIGHLY RECOMMENDED!